2018 Mitsubishi Eclipse Cross reader test team review | What Car? Mitsubishi has always been a small brand in the UK, taking less than 1% of new car sales. But SUVs have exploded in popularity, and this is an area in which the Japanese company considers itself something of an expert. It built its first 4x4 way back in 1936, found success in the 1990s with the brawny Shogun and has since added the popular Outlander PHEV plug-in hybrid and the baby ASX. Between them is the new Eclipse Cross, a rival to cars such as the Seat Ateca and Peugeot 3008. Priced from £21,275, this family SUV looks great value, given its generous standard kit. It's powered by a 1.5-litre turbocharged petrol engine with front or four-wheel drive, while a 2.2-litre diesel will come later and a hybrid is under consideration. We rate the Eclipse Cross, which is on sale now, at three stars, but how will our readers view this new model? “Our XC60 is four years old, so we’re looking at various small SUVs for a replacement. “My friend has the smaller ASX, and there’s a noticeable step up in quality here from that car. The interior materials are classy – there aren’t many cheap-feeling plastics – and the exterior isn’t bland at all. “There’s plenty of room in the back, which we need for our one-year-old son. Although the boot’s not the biggest, it’s enough for a buggy and other things. Plus, the door bins are big and there are cupholders in the rear. “I like the look of the mini spoiler and the light bar that divides the rear screen, although the latter does impede visibility. “At 5ft 9in tall, I have absolutely loads of head and leg room in both the front and back seats. My wife would love the high driving position, too. “It’s a shame there’s no hybrid version of the Eclipse Cross available from launch, seeing as the larger Outlander PHEV has done so well. “I have a growing family – two children – so I think my next car will have to be an SUV; the BMW X1, Seat Ateca and Volkswagen Tiguan are the main contenders. 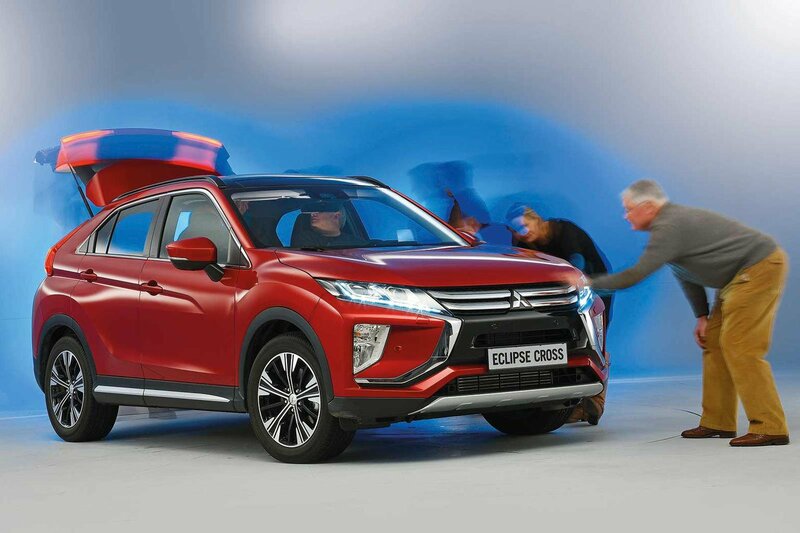 “The Eclipse Cross looks striking from the outside, and my first impression of the interior is the comfortable seat and well laid-out controls. Material quality is surprisingly good, too. “The infotainment system is impressive. It’s quick to respond, and that it can also be controlled by a touchpad is great, because I’m not a fan of touchscreens. “I’m pleased Apple CarPlay is standard, because it’s seamless and it means the infotainment won’t quickly become outdated. “The rear seats are spacious, and I like that they slide and recline, but it’s a shame that they don’t get their own air vents and the plastic on the rear doors isn’t as soft as that on the front doors. “I’d go for the petrol engine, but unfortunately the automatic gearbox is a CVT. My current car has one and I absolutely hate it. “It’s time for me to replace my C70 convertible, and as I’m now a grandfather, I need a sensible, five-seat, four-door car; I quite fancy the Skoda Karoq. 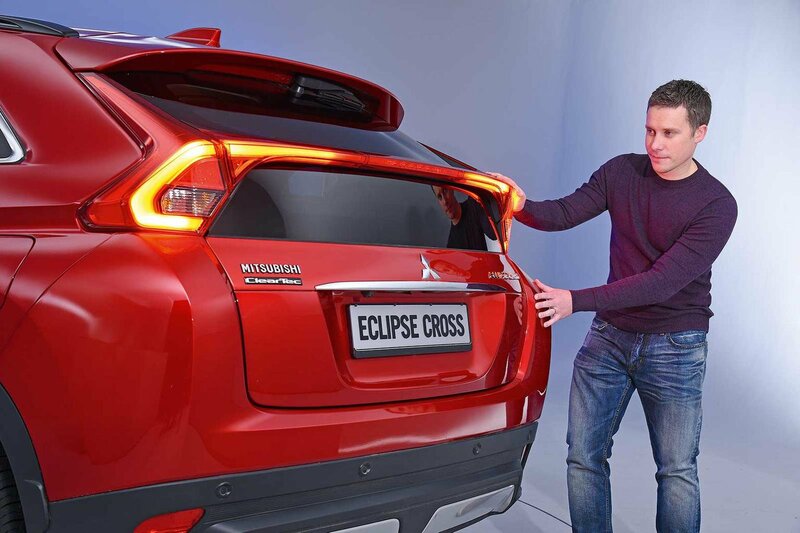 “The Eclipse Cross is a very handsome car, and for the price, it comes with lots of bells and whistles. Even the entry-level trim features a 7.0in infotainment touchscreen with smartphone mirroring, Bluetooth and a DAB radio, plus a reversing camera and automatic emergency braking. “The 160bhp 1.5-litre turbo petrol engine sounds good. I’m not sure the four-wheel drive is necessary, although it would be good for my visits to Scotland. 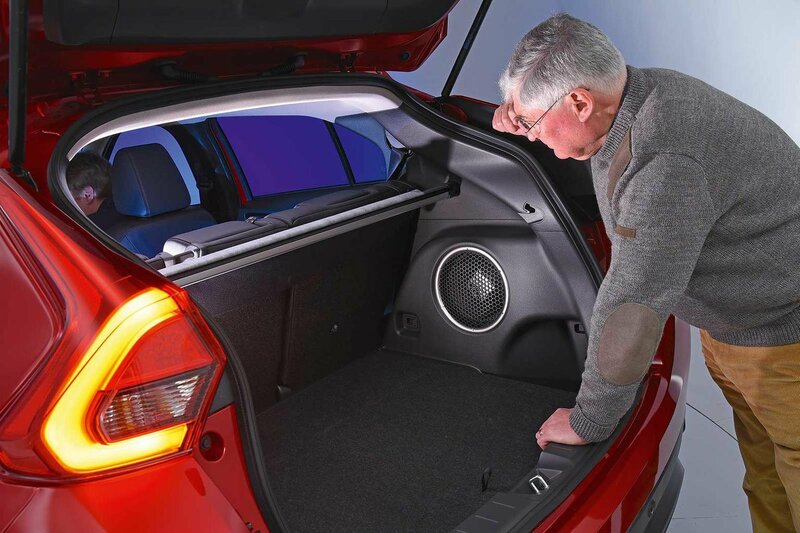 “My C70’s boot has no wheel arch intrusions, so I can get two sets of golf clubs in sideways. I think the Eclipse Cross’s would be too narrow to do that. It’s a bit small for a car in this class. “The rear seats are spacious enough for two child seats; you could even squeeze a small adult in between them on short trips. “I’m not keen on the head-up display on pricier cars; from my work in aviation, I know that these can be distracting.